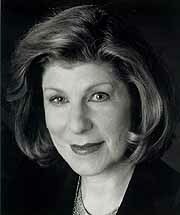 NPR legal affairs correspondent Nina Totenberg reports. NINA TOTENBERG, BYLINE: On the steps of the Supreme Court, lawyer Michael Kimberly, representing Republican voters from Maryland's 6th Congressional District, said people on the street understand what partisan gerrymandering is all about. NINA TOTENBERG, BYLINE: Back in 2006, Fane Lozman was not exactly a welcome sight for the Riviera Beach City Council. He'd managed to scuttle their plans to convert the local public marina into a private one, and state law enforcement officers were now investigating allegations of corruption. 'New York Magazine': Do You Believe Anita Hill Now?